Schadenvale Road by Chris Mansell. Interactive Press. 2011. 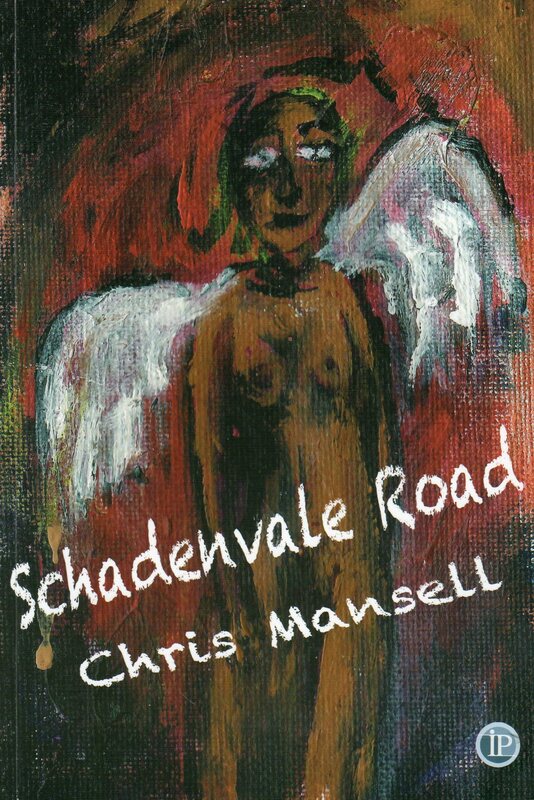 I have always regarded Chris Mansell as one of Australia’s leading poets so I was a little taken back to read that she is described on the back cover of Schadenvale Road as “one of Australia’s most accomplished short fiction authors” – had I missed something? Actually I approached Schadenvale Road with a hint of apprehension, my experience reading prose by writers who are predominately poets has not always been a good one. Not everyone can make the transition from poetry to the relative freedom of prose – some can’t let go of their background and their prose reads like an extended poem with no line breaks, while others embrace the apparent freedom offered by prose and take it much too far. My hesitation lasted two paragraphs into the first story ‘Echidna Obscura’. Mansell is a ‘natural’ fiction writer – at once her style is confident yet unobtrusive, the imagery and narrative tugs at you, dragging you into the stream and sweeping you along. ‘Echidna Obscura’ is a simple story of an artist named Echidna living in the hills outside of town and his slowly developing relationship with Elanora. As the relationship advances at glacial speed Echidna decides to go bush, taking an old camera and a roll of film. Each day he takes a single picture and returns home only when all the roll is finished. When he opens the camera, however, he finds that the film hadn’t loaded onto the sprocket correctly and the film hasn’t wound on. Almost like a metaphor for the story nothing appears to have happened on the surface but approached from a slightly different perspective the narrative is heavy and rich with meaning. ….The townspeople could have been alien plants for all the notice he took of them and he was utterly unaware that there were people living in the surrounding hills. They washed past his door and handled his personal correspondence without making a ripple in his life. He wrote to important friends who lived anywhere but in Paradise and complained about the parochialism of the place without ever speaking much to anyone, He was as prejudiced and wilful as it was possible for a poet to be without exploding. There is something almost Dickensian about the wilful poet living in almost self-imposed exile in a town called Paradise. The final irony occurs when he travels out of Paradise to receive an award and he finds himself lost in the airport – his life “balanced on a point”. He realises he can move forward or simply disappear in the crowd, not answering to his name. We don’t find out what he does. There is more than a hint of the early Peter Carey stories in Mansell’s short fiction – those in The Fat Man in History and War Crimes where Carey exploded onto the literary scene. Like the early Carey, Mansell creates a detailed narrative, we feel as we can almost recognise some of the towns and landscapes she describes. At the same time, however, there is something just below the surface, something that knocks our perspective just a little off centre. Something disconcerting and delicious. And then she remembered the people who came. Not good, but she supposed they loved her. In truth, she had very little idea what this might mean. She tried to figure it out. It seemed to be some sort of obligation. People said , “I love you” and you were supposed to say back “I love you too” and this meant you had to do things for them. The voices themselves are pleading, asking for forgiveness, asking for help. “some accused her of things or demanded that she do things”. Mansell handles the build up of tension well, we sense that something has to give – but when it does it is both unexpected and perfectly rational and we pinch ourselves for not seeing it coming. I can’t say I felt the presence of evil – but it was something close to evil. An absence of light that was at the same time completely empty and completely full of fear – not the observers fear , but a physical fear that it feed on, that belonged to it and nurtured it and pulled down anything within its range. Is this the panther, the black leopard, that people sometimes think they see? For Mansell, perhaps it is this absence that provides an edge to her prose which makes it so compelling. Schadenvale Road should cement Mansell’s reputation as one of Australia’s leading writers. Already firmly established as a major poet, it suggests that her fiction should start receiving just as much attention as her poetry. This entry was posted in Chris Mansell, Interactive Press, Issue 5, Mark Roberts, Schadenvale Road and tagged Dickensian, literature, Peter Carey, The Fat Man in History, War Crimes by Mark Roberts. Bookmark the permalink. A good review. It gives just enough to raise interest, & not too much … I must check it out.